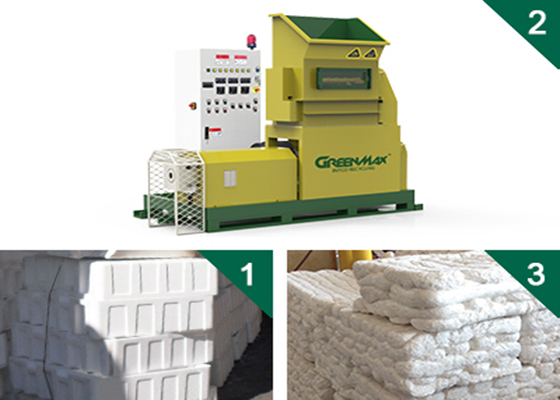 EPS recycling through GREENMAX MARS C200 foam dansifier is divided into two processes: crushing and melting. The crushing is to make the bulky EPS waste into small countless pieces and the melting is to make these EPS pieces into melted ingots. The EPS ingots will be put into a steel container for cooling and shaping, stored for granulation and then made into other plastic products, to finish the close-loop of EPS recycling.